If you are selling a home, the bathroom can make or break a closing. Homebuyers are looking for key areas of the home that don't require a major overhaul, which is why a bathroom renovation can make a huge impact on your home’s resale value. Giving the décor of your bathroom a boost doesn't require a chunk of money or space -- just a little forethought and a few bathroom ideas. Think about what homebuyers might be looking for. Today, homebuyers don’t want an ordinary bathroom but a relaxing retreat; double bathroom sinks and walk-in showers are popular, while oversized bathtubs and bathroom storage are also frequently mentioned. Bay Tile Kitchen & Bath can bring your ideas to life! 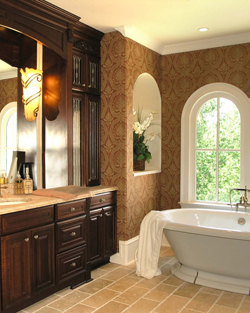 The best place to start with any bathroom remodeling project is the budget. Not only will it assist you set the limits of your design for your bathroom renovation, but it will be a major criteria on the type of materials you select. Knowing your budget will allow you to know what is capable of being accomplished allowing you to get creative! Bay Tile Kitchen & Bath will work with-in your budget and give you the best possible solutions to your bathroom remodeling requests. 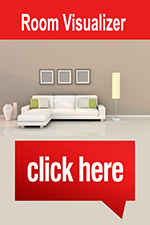 We understand that beginning of a home remodeling project can be a stressful undertaking. That's why Bay Tile Kitchen & Bath invites you to give us a call and find out how straightforward, hassle-free and affordable employing a professional bathroom remodeling company can be. To make the most of your visit, prepare a list of your interior design preferences, practical needs, and budgetary considerations so your bathroom remodeling consultant can save you time by directing you to the best options available. We look forward to serving you!